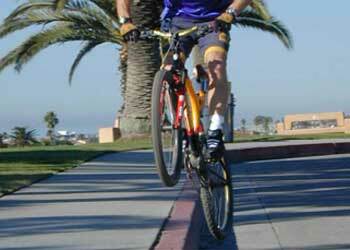 This angled jump can lift you sideways onto a curb or safely over trail ruts and tree roots. 1. Start your practice with a painted line on flat ground. 2. 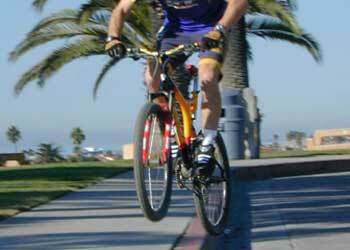 Saddle your bike and ride parallel to the line. 4. 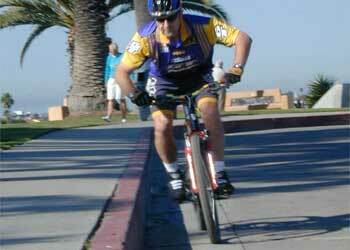 Lean your upper body slightly over the handlebars and keep your weight centered. 5. 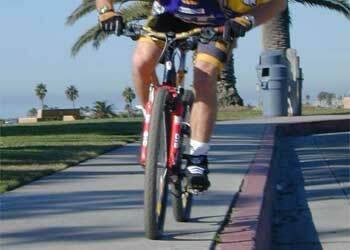 Roll up to the object at jogging speed, keeping your cranks horizontal. 6. Concentrate on the correct footwork for the jump: Push your feet down, back, then up in one dynamic motion. 7. Crouch down on the bike just before the jump. 9. Go slightly with the front tire first. Practice this with something safe, such as a cardboard box, so you don’t damage the bike. Be sure to get your rear tire off the ground; don’t leave it dangling.